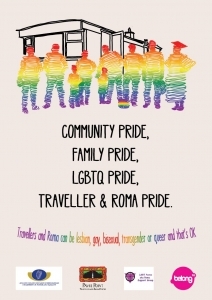 Pavee Point Traveller and Roma Centre, partnering with LGBT Pavee and BeLonG To Youth Services launched the first LGBTQ Traveller and Roma poster at the Office of the Ombudsman for Children on June 16th. 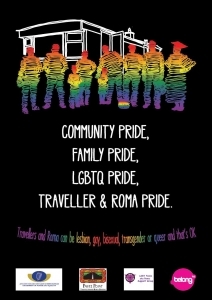 The event was part of both Traveller Pride celebrations and Dublin Pride, which runs to the end of June. This project has been in the pipeline for almost a decade and is a vital first step to ensuring acceptance for all members of ethnic minority communities. 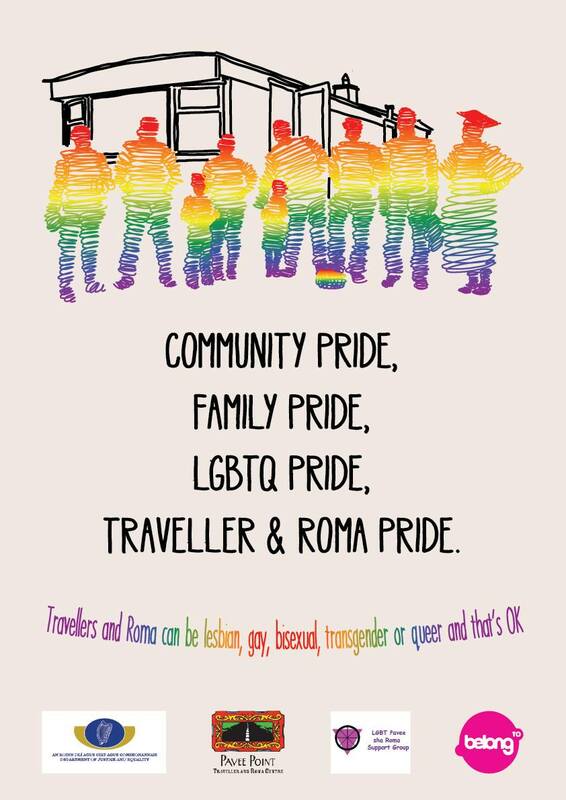 Travellers can feel shame around the issue of sexuality and can fear coming out; this poster is designed to begin a conversation about LGBTQ members of the Traveller and Roma communities. 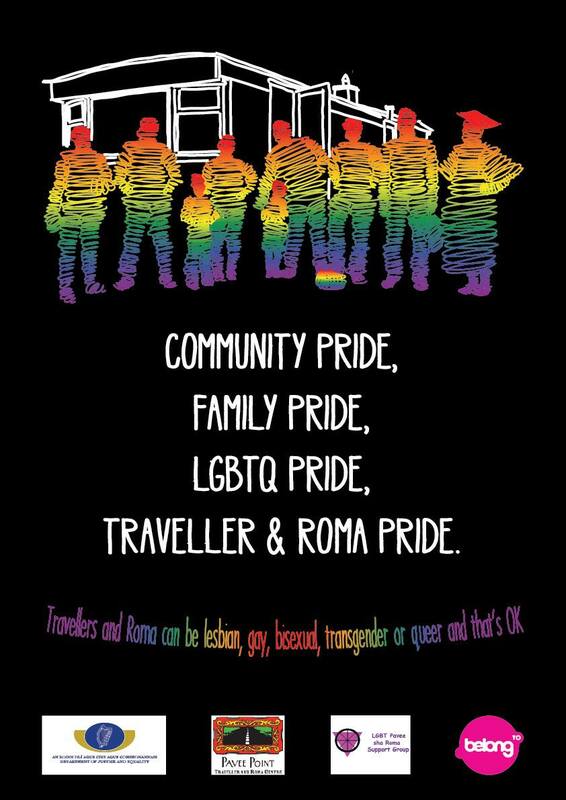 In the long term, BeLonG To, Pavee Point and LGBT Pavee aim to work to create guidelines around engaging with LGBTQ Travellers and Roma and to create safe spaces. During the launch, Oein de Bhairduin of LGBT Pavee commented that the poster is really ‘about family, community and love’, while David Carroll of BelonG To drew attention to the support between Pavee Point and BeLonG To for the past eleven years. Ailbhe Smith spoke about her past experiences as a lesbian, activist and feminist, highlighting the importance of always standing up and being counted. Bridgy Collins of Pavee Point also spoke and thanked the young people for their involvement and leadership in creating the poster. Click the posters below to see larger images. If you are interested in hanging a poster, please contact us.